Madeleine David is a highly qualified Naturopath and Medical Herbalist with degrees in health science, nutrition and herbal medicine. Madeleine specialises in the use of nutrition and botanical medicine for optimal wellness, and in the prevention and treatment of illness. Madeleine has been in practice since 2005 and is registered with the Australian Natural Therapists Association (ANTA) and the Naturopaths and Herbalists Association of Australia (NHAA). 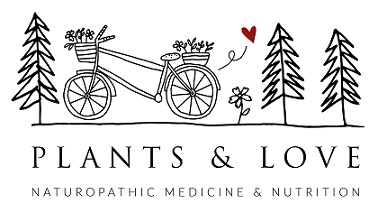 Madeleine's clinic, Plants & Love, is located in Subiaco, Perth. Madeleine also does online and phone consultations, if required. Madeleine has an evidence-based approach to clinical practice and utilises pathology testing, clinical analysis and diagnostic insight as a basis for formulating treatment protocols. Naturopaths are experts in nutrition and optimising your nutrition is fundamental to our treatment protocols. Lifestyle, environmental factors, exercise, stress management and emotional wellbeing are essential components of an integrative naturopathic approach and will be considered for each patient. Madeleine will liaise with your medical doctor, with your permission, if required. Madeleine will assist you to manage your symptoms while investigating and addressing the underlying causes of your health concerns. Even if you don't have a speciﬁc medical condition, naturopathic medicine can help you achieve more energy and vitality with a focus on prevention of disease and illness. NHAA award for "Outstanding Herbal Medicine in Clinical Practice"